Another year, another Great American Songbook competition, only this year’s winner struck a chord closer to home than the rest. 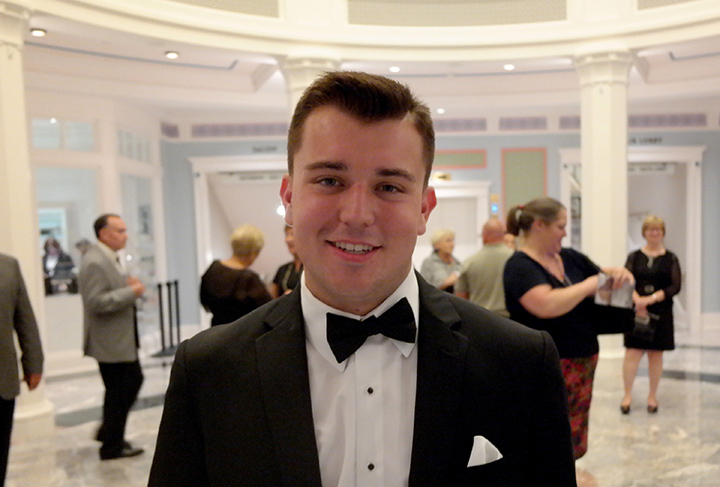 Lebanon resident Lucas Debard, 18, earned the Great American Songbook Youth Ambassador Award this July. Forty top-performing music students throughout the country are invited to the Songbook Foundation headquarters at the Center for Performing Arts in Carmel for a week-long series of workshops. The week culminated in a showcase on July 25 featuring the 40 students. For his accomplishment, Debard will get to perform with Emmy and Grammy Award-nominated and Great American Songbook Foundation founder Michael Feinstein. Debard will also perform at the Songbook Hall of Fame gala and sing the national anthem at an upcoming Indianapolis Colts game. Debard will attend Indiana University’s Jacobs School of Music this fall to study music education. Despite the high level of focus Debard must commit to his studies, a performing career remains his true goal. For more information, visit thecenterfortheperformingarts.org.